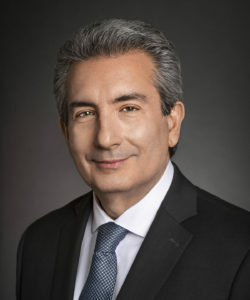 PHILADELPHIA, PA (April 12, 2019) – The Philadelphia Foundation announces the hiring of Orlando C. Esposito, a highly respected financial services executive with a history of deep engagement in nonprofit and community leadership, as its new Chief Financial Officer. Esposito joins the Philadelphia Foundation during its pivotal centennial year. By bridging his leadership in the corporate and financial arena with his experience empowering local nonprofits, Esposito will help Philadelphia Foundation amplify its second century of positive impact in the Greater Philadelphia region. In his role as CFO, Esposito will provide strategy and leadership at an enterprise level growing results and meaningful partnerships for the Foundation. Esposito most recently served as Executive Vice President (EVP) and Head of PNC’s asset management group. He previously was EVP of PNC’s corporate banking group. In these two roles, he led PNC’s efforts in the growth of wealth management, institutional investments and ultra-high net worth business segments, as well as establishing relationships with corporate finance and middle market clients across multiple industries across the mid-Atlantic region. He has deep roots within the Philadelphia area, having grown up in the Kensington neighborhood, graduating from Central High School and earning a BA in accounting from Philadelphia University and an MBA from Villanova. Esposito has also served on the executive committee of the United Way and led its 2017-18 campaign. He has been active on the boards of the Philadelphia Zoo, the Philadelphia Museum of Art, Thomas Jefferson University, and TouchPoint Inc. Recent large-scale initiatives launched by the Philadelphia Foundation include On the Table Philly, the Lenfest Institute for Journalism, the PhilaImpact Fund collaboration, the Philadelphia Catchafire partnership, and the Second Century Key to Community initiatives. Philadelphia Foundation runs over 900 charitable funds, with more than $500 million in assets and grants and scholarships exceeding $25 million annually. Founded in 1918, the Philadelphia Foundation strengthens the economic, social and civic vitality of Greater Philadelphia. The Philadelphia Foundation grows effective philanthropic investment, connects individuals and institutions across sectors and geography, and advances civic initiatives through partnerships and collaboration. A publicly supported foundation, the Philadelphia Foundation manages more than 900 charitable funds established by its donors and makes over 1,000 grants and scholarship awards each year. To learn more, visit philafound.org.